10 table quiz questions relating to the geography of Europe. Answers below. How many EU member countries are there as of October 2014? In which country will you find the following cities - Mariupol, Chernihiv, Rivne and Krasnyi Luch? What is the largest Danish seaport? What is the Eastern-most country in the EU? What is the currencey of Croatia? What is the largest river in Italy? Kedington, Rushmere St Andrew, Buxhall, Little Bricett and Wickham Green are all locations in which English County? What is the highest peak in the Pyrenees? 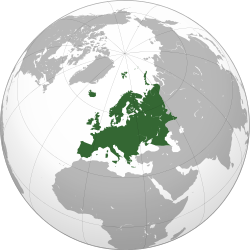 What European country has a population of 524,853 (as of October 2012) and has an area of 2,586 square kilometres (998 sq mi)?